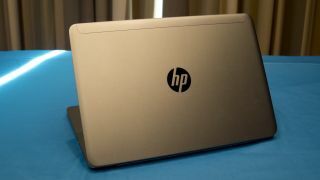 HP is continuing to push Windows 7 in its business portfolio with a whopping 40 out of 54 laptops on its UK website sold with Microsoft's popular operating system. A number of websites highlighted the trend in the US and we can confirm that the same is happening in the UK with businesses apparently driving the decision. Seven out of the top 10 most popular laptops at HP come preloaded with Windows 7 Professional (available through downgrade rights from Windows 8.1 Pro). And to sweeten the deal, HP is also offering a number of cashback deals ranging from £50 to £200, depending on whether businesses are purchasing other accessories (docking stations, monitors) or not. It's worth noting that the push in the US appears to be geared towards consumers, which is not the case in the UK where HP doesn't sell laptops running Windows 7. The operating system is still the most popular on the market with more than half of the Windows OS market. Windows 8 and its variants account for about one-eighth of that market, even less than the unsupported Windows XP.